Please ask for our price list in USD, FOB Mexico. S.v.p. demander la liste de prix en USD, FOB Mexique. Bitte fragen Sie unsere Preisliste in USD, FOB Mexiko. (.pdf - opens in a new tab). Pizza oven catalog FOB Mexico. 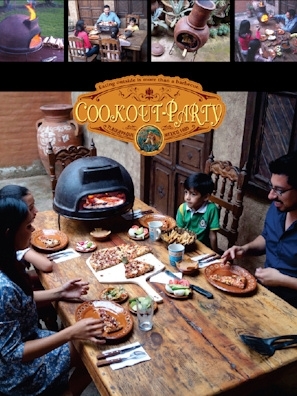 The amazing table-top, economic wood-fired pizza ovens that turn outside cooking into a party! Products in the container can be mixed with our other assortments. To order pallet quantities (mixed) in Europe, ask for the Ex-NL price list.